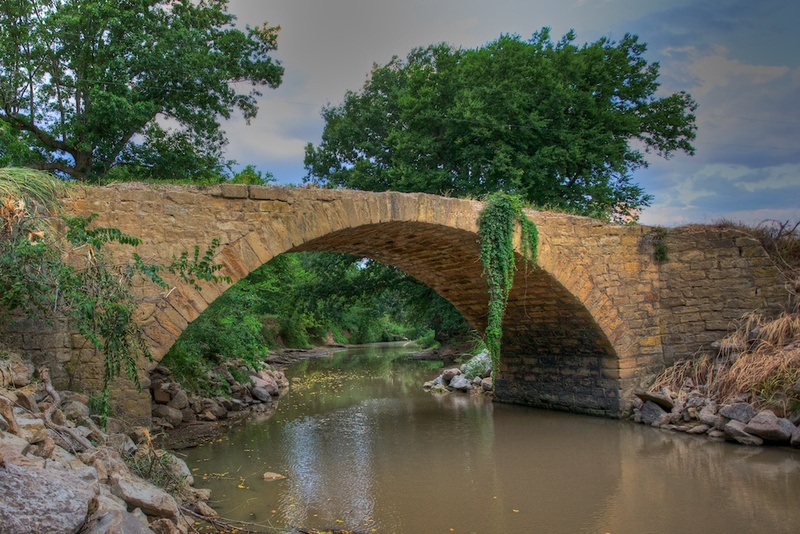 This bridge over Opossum Creek in northern Nowata County is maybe the best example of a stone arched bridge structure remaining in Oklahoma. Built in 1913 at a cost of $1,085.00 by a local contractor. Made from locally quarried limestone, you can still see the tool marks where the masons shaped the stones. This bridge still carries traffic, and shows little signs of deterioration. 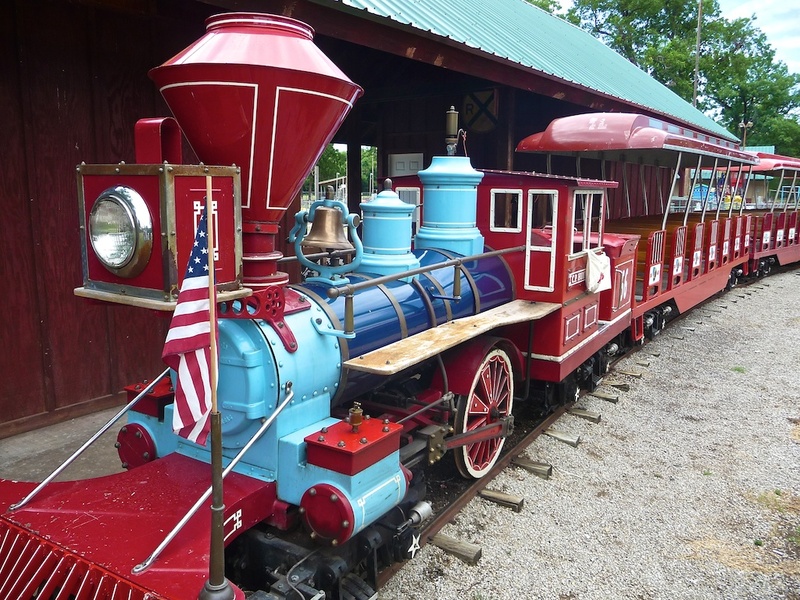 More from the Kiddie Park railway. 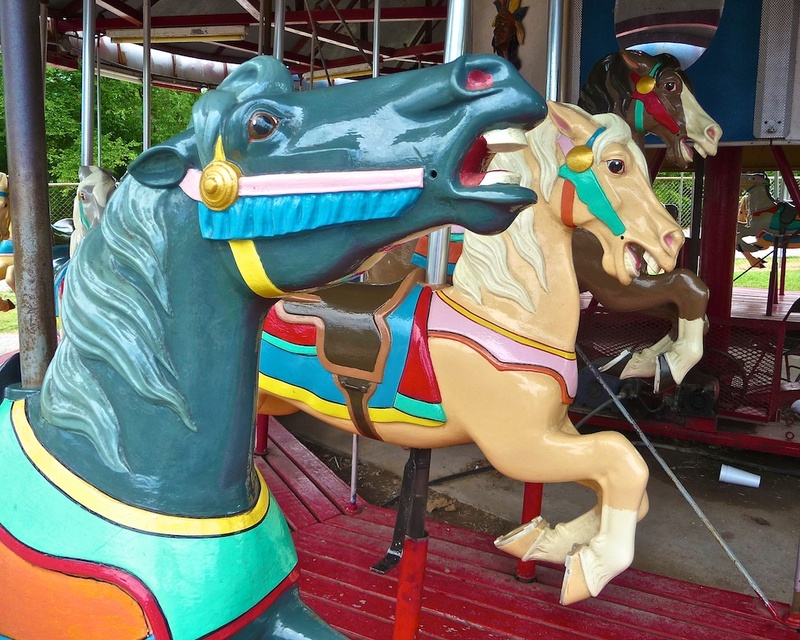 At the Bartlesville Kiddie Park.